Tradeshows provide a tremendous opportunity to gather leads while building up momentum for your medical software. But that momentum is sure to fizzle out fast unless you take action to transform those leads into customers. Your action needs to be rapid, relevant and persistent, and it can start the minute your back in the office. If you’re worried about going overboard, keep a few facts in mind. It typically takes nine attempts to reach the right person, and six to seven people are usually involved with buying decisions. You can ensure you don’t cross the line from persistent to pesky with a number of tips for effectively connecting with your medical software leads after a tradeshow. Once you’re back at the office, dig out all the contacts you and your team collected at the show. These can come in the form of business cards, slips of paper, digital signup forms, postcards, emails or other methods. Create a simple spreadsheet that contains at least the first name, last name, email and phone number of each new contact. Feel free to also include company name, title, website and location if so inclined. LinkedIn is the B2B king of social media. Even if the leads you’ve collected don’t eventually buy, they can still be useful contacts within your business network. Send a quick LinkedIn connection request to all names on your list. Some of the contacts will be hot and eager to purchase. Others may be lukewarm or even cold. Organize your master list of leads into separate lists based on their readiness to buy. Make sure each lead you’ve collected is assigned to a company rep who will conduct the follow-up. Divvy up the hot leads to your sales team members as quickly as possible. Distribute lukewarm and cold leads to your marketing team members, who can nurture them until they’re ready for sales. Giving each contact a rep ensures no new leads will fall through the cracks. 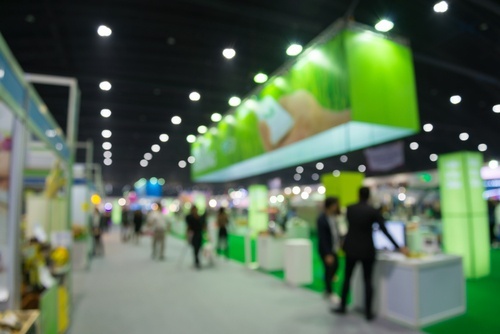 Rather than simply dumping all these fresh leads into the existing lead pile, create a plan to use specifically for your new trade show contacts. Keep in mind that generic marketing frustrates the vast majority of consumers, with impersonal marketing sure to be even more irksome to contacts you or one of your team members actually met in person. Always address your leads by their name, as this small detail can make a huge difference. Further personalize correspondence by taking the time to customize every message, attachment, pricing sheet and other information so it’s tailored specifically to each lead. Remind contacts where you met by referencing the trade show when you initially make contact. Go one better by including a photo of your booth or even yourself to provide an even keener point of reference. Even though you may have spoken with a contact at the show, try to set up another meeting to demonstrate you mean business. Trade shows tend to be busy, chaotic places, and your second meeting gives you both a chance to continue the conversation on a more personal level. Teleconferencing can work if a face-to-face meeting doesn’t. See Also: An Old Fashioned Phone Call: Are You Overlooking This Marketing Opportunity? The excitement of the trade show doesn’t have to fade once the show is over. Connecting with your medical software leads after the show can keep that same excitement alive, especially if you focus on how your software can solve their specific problems while making their lives easier. Implementing these tips can help you make those connections with the speed, relevancy and persistence you need to transform those leads into customers.